Explore the world aboard Four Seasons custom-designed Private Jet. Gifting an unsurpassed way to see the world and to travel to new heights, the Private Jet seats up to 52 guests, taking you on luxurious journeys around the world, allowing you to create memorable and extraordinary experiences, at remarkable destinations, all whilst you stay exclusively at Four Seasons hotels and resorts. These incomparable adventures come to life through a range of unparalleled itineraries that embark across the globe, allowing you to experience and discover up to ten destinations, globally, on a single private jet trip. Whether you desire to travel across the world or explore the culture of a specific region, your adventure is awaiting you. 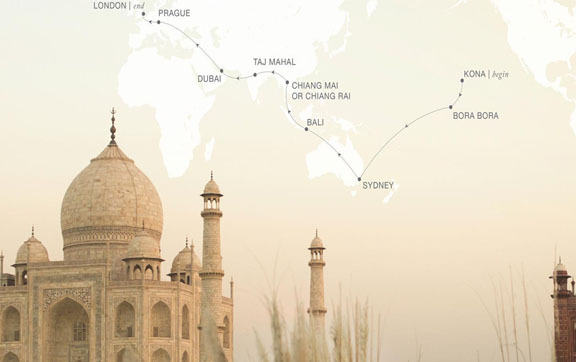 Join Four Seasons on International Intrigue, an around-the-world journey by Private Jet. 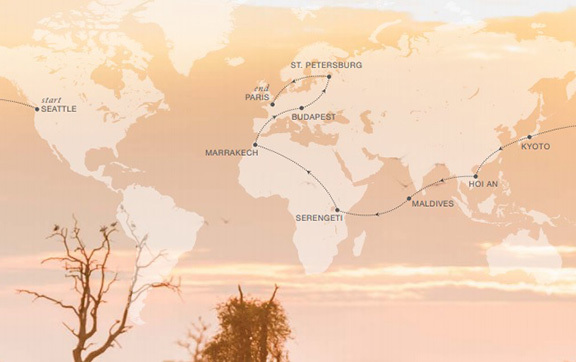 This global adventure unlocks the legendary histories, natural splendours and cultural treasures of nine spectacular destinations across four continents. This all-encompassing itinerary includes accommodations, all meals, transportation, and a wide variety of exclusive excursions and activities. Rates are per person twin share in USD and are subject to availability. For more information and full terms and conditions please contact one of our travel specialists. 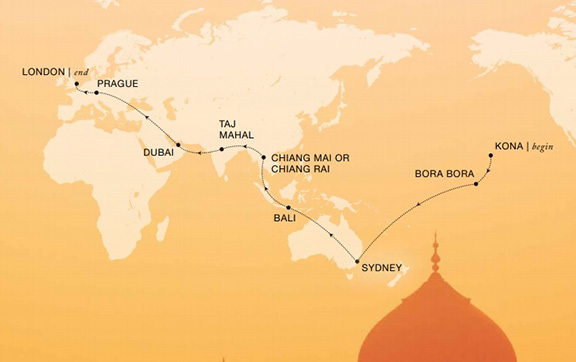 Join us on World of Adventures, a 24-day globe-circling journey aboard the Four Seasons Private Jet. 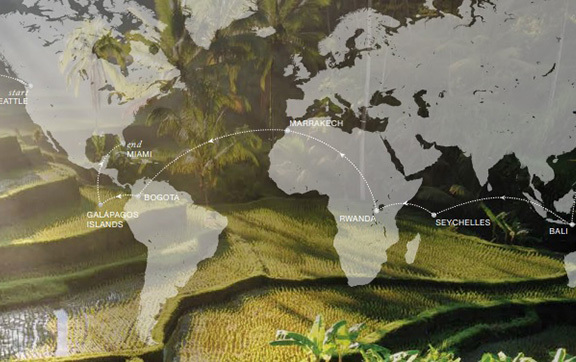 From the forested mountains of Rwanda to the colourful streets of Bogotá, embark on the path less travelled on a journey unlike any other. This all-encompassing itinerary includes accommodations, all meals, transportation, and a variety of excursions and activities. Join Four Seasons on Timeless Encounters, an around the world journey to some of the world’s most extraordinary destinations. From the beaches of Bora Bora to the sparkling marble of the Taj Mahal, this 24-day itinerary touches down in vibrant cities and tranquil island paradises. touches down in exciting cities and tranquil island paradises. This all-encompassing itinerary includes accommodations, all meals, transportation, and a wide variety of exclusive excursions and activities. 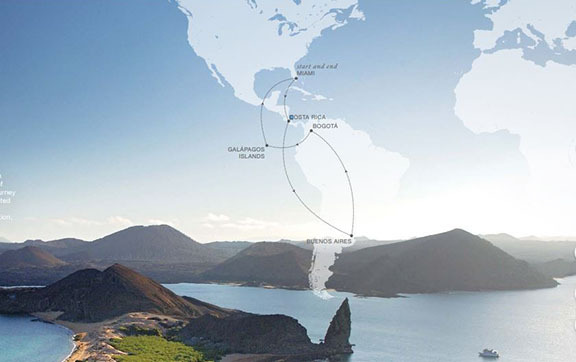 From lush Costa Rica to cosmopolitan Buenos Aires and the remote Galapagos Islands, experience the cultural and natural wonders of Central and South America on an extraordinary 16-day voyage.